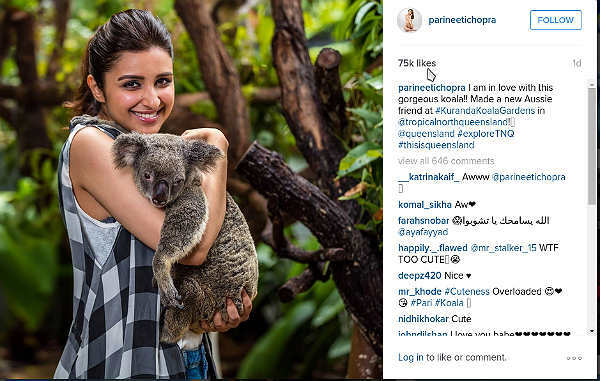 Parineeti Chopra is currently on a holiday in Australia these days. The actress seems to have taken some time off to prepare for her role in Yash Raj Films' Meri Pyari Bindu, which also stars Ayushmann Khurrana. The actor has been visiting forests, taking strolls on the beach, shopping, scuba diving and having what appears to be the perfect holiday. What's more, her Instagram timeline is flooded with her incredible holiday photographs. Also read: Parineeti Chopra to romance Hrithik Roshan in YRF's Dhoom 4? 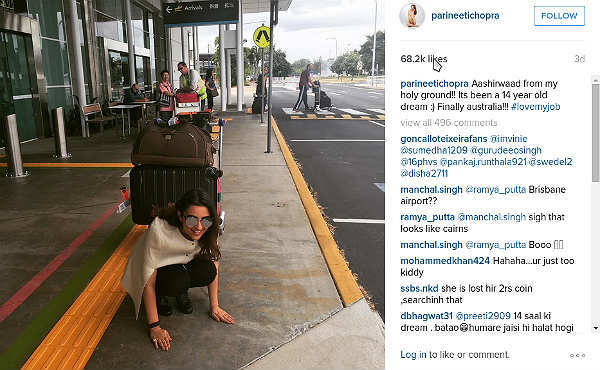 As the actress revealed in one of the photos, this is her first trip to Australia. And what a trip it seems to be be. Check out the photos here. They will make you want to travel.